Andrew MacLean is a Salem, MA, based illustrator and graphic designer. You may have first heard of him with his 2015 releases Bat Karma or Apocalyptgirl, both of which were critically acclaimed upon their release. 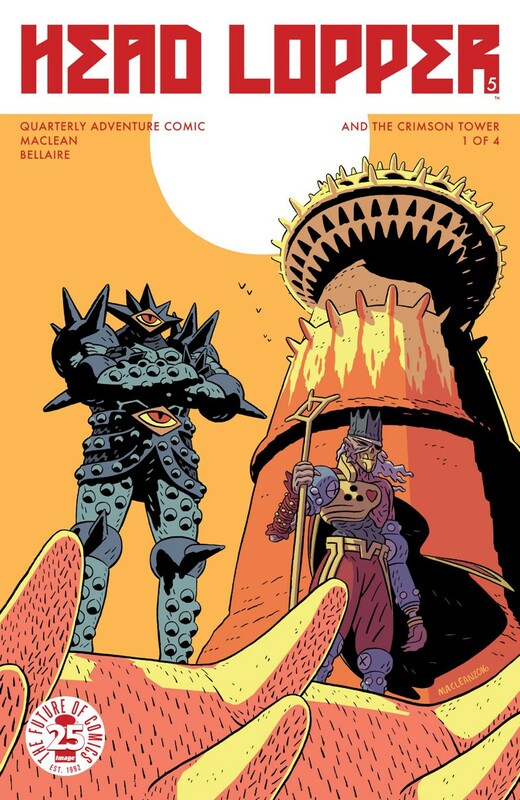 However, he made a bigger splash last year when he debuted his first ongoing series through Image Comics- the Conan-meets-Hellboy style fantasy epic Head Lopper. With the second arc of the quarterly series out this week, we sat down with Andrew to to talk about the concept, his inspirations, and what we can expect within the Crimson Tower! There are lots of monsters in the story as well. Does any creature stand out as a favorite? No. No favorites in terms of monsters. They’ve all been fun to draw and write. 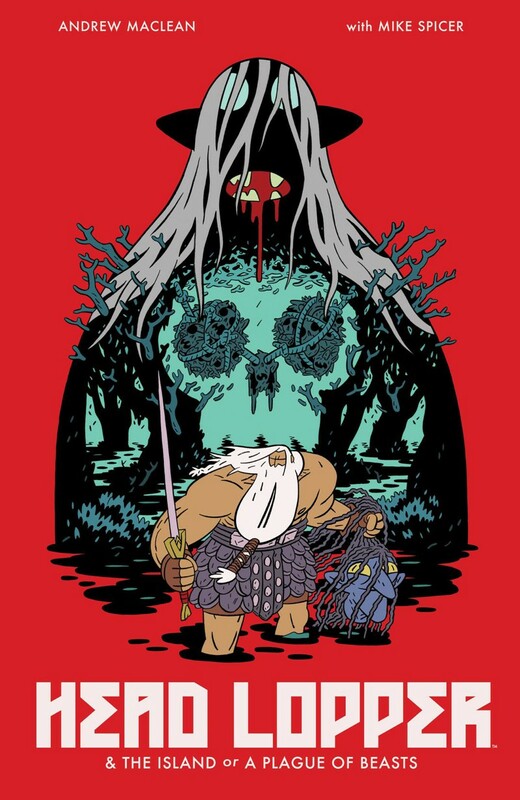 What do you think it is that makes people gravitate towards Head Lopper? I’m probably the most biased person possible so I could never have an accurate guess. But I’m just trying to make a book that I think I would enjoy reading, so I can only guess its fans have a similar taste and/or sense of humor as I do. How long does creating each issue take you, start to finish? It takes the full three months in between. I work most nights and weekends and workdays are 10 or more hours. It really takes up all of my time. One of the things that made this book so interesting is how the art moves across the page. Was this your intent? A huge part of storytelling is leading the eye in the correct order of events, so I try to keep that in mind. Comics is just a bunch of drawings, they are snippets of time like each frame in a film. 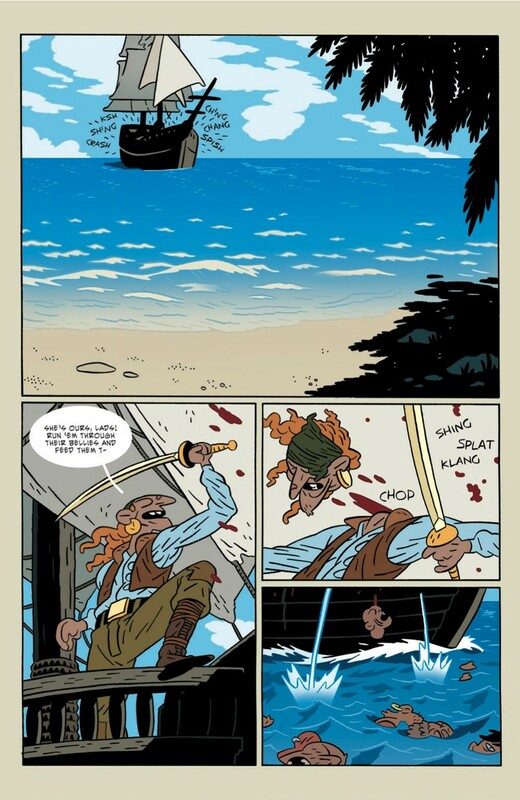 As comic creators, its our job to figure out how to tell the story clearly with WAY less frames. What’s your process in creating an issue of the story? I write a full script, then I do a messy thumbnail of a page, then I pencil it, then ink, then off to colors, then I put letters on top digitally. You and Mike did such a great job collaborating on the artwork in the first arc to make everything stand out. Could you tell us about that process? With Head Lopper and The Island, I pictured the Island of Barra to look and feel like Scotland. So Mike kept it really grey and green and it worked out great. We would throw in pops of bright color to highlight actions or emotions and the whole thing felt pretty coherent. 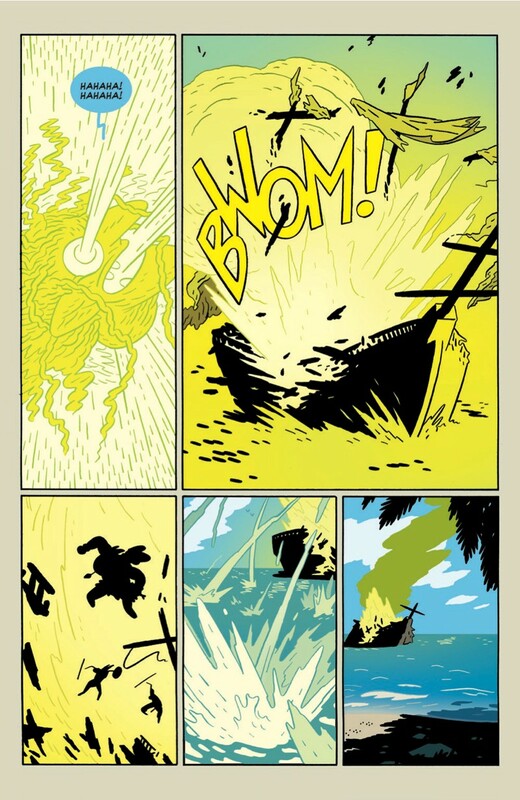 And in the newest arc, you’re working with Jordie Bellaire on colours. Was the process much different? How are things going so far? It was pretty similar except we are now in a totally different place so I wanted it too feel very different then “Scotland.” A big part of “Crimson Tower” is some of the strange twists and turns and I want that colour to reflect that. So we went brighter, simpler, and heavily themed scene by scene. What lead to the decision to do double-sized issues quarterly, rather than monthly issues? I just like making a longer comic but still wanted to do a series. So if he takes me 3 months to draw 45 pages of story, then it has to come out quarterly. I’ve really enjoyed it thus far. I’m rereading the Lord of the Rings at the moment. Also just started March book 1 as well as Vagabond Vol 1. I’ve been doing a handful of covers lately but otherwise no, there just isn’t any time left. Anything you’d like to add for Comic Buzz readers? 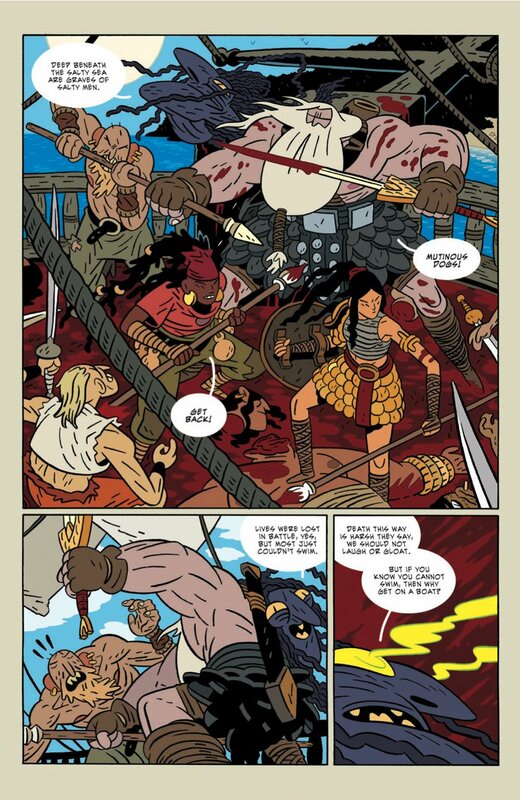 Just check out Head Lopper, ApocalyptiGirl, and laserwolfattack.com (opens on 3/15). Thanks! Thanks for taking time with us! EJ contributed to this interview.